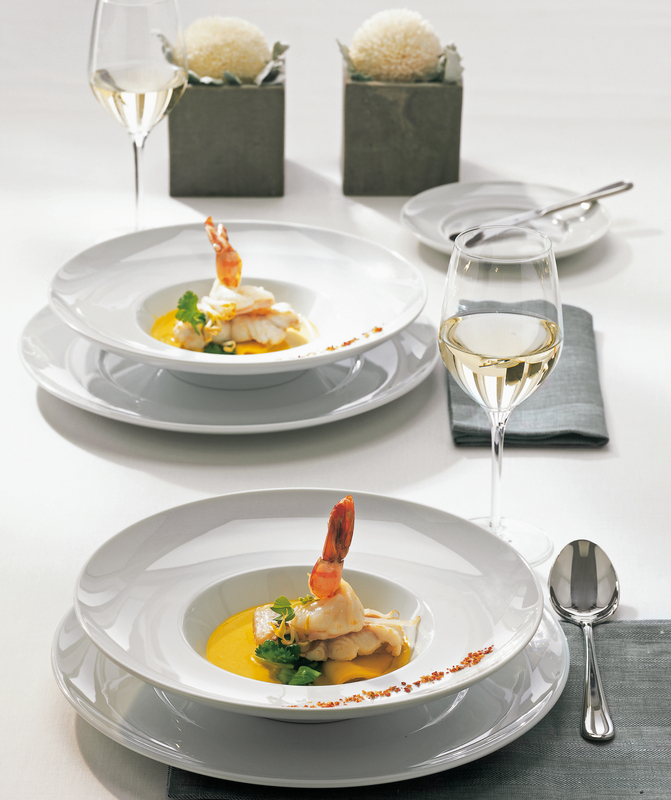 Tafelstern Inspiration Collection is the new rimless plate is the perfect accompaniment for every food trend, from the main meal to side-dishes. The concave rims encircle all food creations in a harmonious embrace. The centres are bordered by a small ledge and encircled by concave rims. 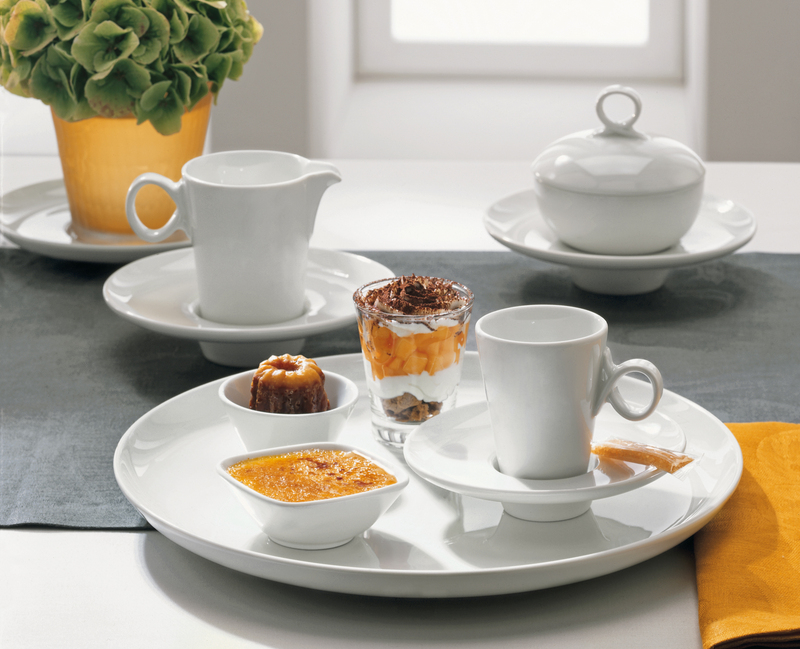 Oval plates and salad bowls with broad rims for better purchase when serving, along with a consommé bowl. 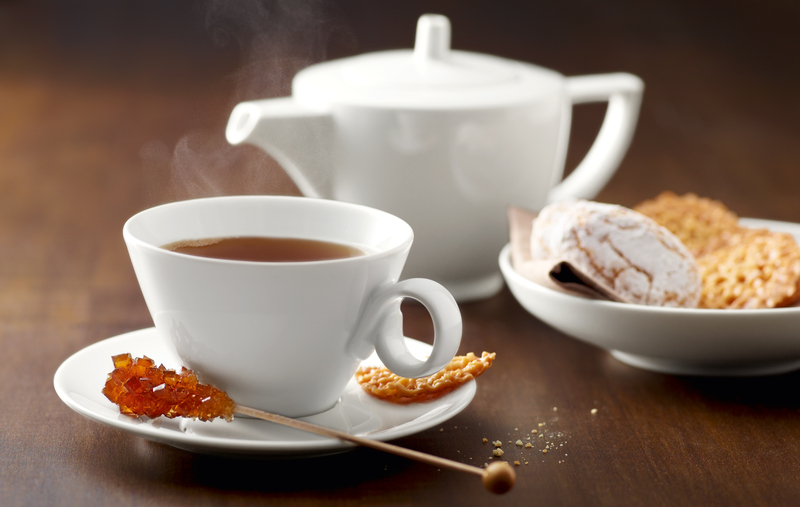 INSPIRATION develops an entirely new look with cups and mugs that appear to be floating, seated deep in the flatware and almost seem to emerge from nowhere.Logos and decors with precious metal decoration are available. 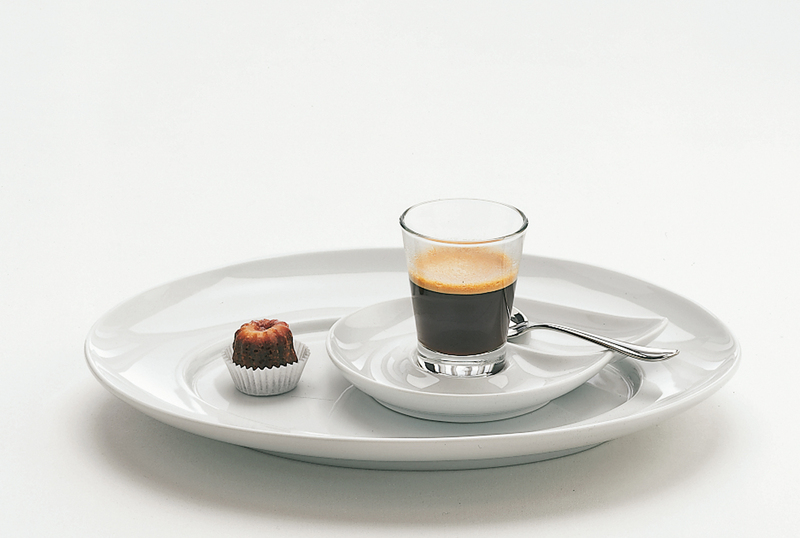 Tafelstern Inspiration Collection form Houseware International.